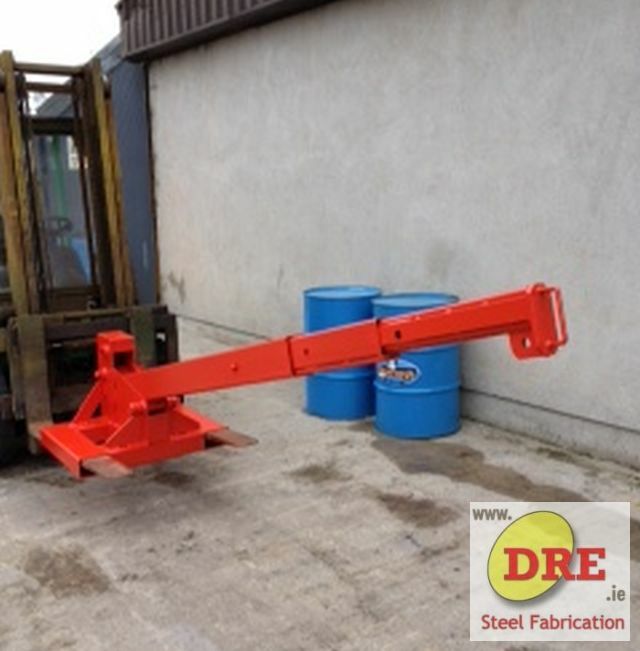 DRE have been manufacturing and supplying Telescopic Jibs for over 20 years. The Adjustable Jibs are manufactured in our workshop situated in Bunclody Co.Wexford Ireland, at the Wexford, Carlow and Wicklow borders. The adjustable jib allows a forktruck to be used to sling loads which would other wise be inaccesible by a forklift. Simple and practical desgin makes it very safe, easy to use and robust. Securly connected to the forklift via the lock pins.